Tunisia’s main political party, the Islamist Ennahda, has chosen Ali Larayedh as a new hardline PM. He will replace Prime Minister Hamadi Jebali, who has refused to head the new government amid political turmoil. "He is the official candidate of Ennahda for prime minister," stated the son of Ennahda’s leader, Mouadh Ghannouchi. Larayedh, the country's interior minister, was a founding member of Islamist party, and served as the party's secretary-general from 1980 till 1992, when he was arrested. He served 14 years in prison. The party leader Rached Ghannouchi and Larayedh, 57, will now meet with President Moncef Marzouki, who is expected to task the interior minister with forming a new government. 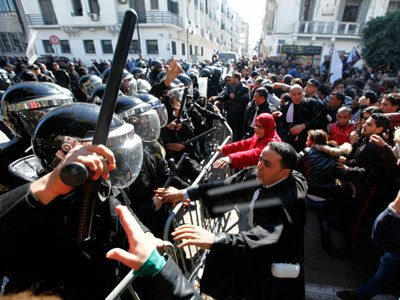 Among other candidates were Tunisia’s justice minister and the minister for agriculture. A party official told Reuters earlier that they didn’t wish to select anyone associated with the moderate era of ex-President Ben Ali, opting instead for someone from the party’s hardline wing. Former PM Jebali tendered his resignation on Tuesday, after his plan for a non-partisan technocratic government to deal with the political crisis in the country was shot down by his own constituents. Nonetheless, the party leader Rached Ghannouchi had been expressing his desire for Jebali to remain as head of government. On Thursday, however, the former PM made a televised address to the nation to apologize for “failing and disappointing” the people. He urged the country to unite, stressing it’s the only way to solve the nation’s political rift. 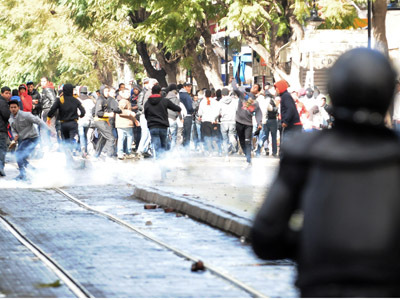 Jebali has also said that “Tunisians must be patient during the coming months…demands and sit-ins must stop until the revolution wins.” However, he said, he remains optimistic. 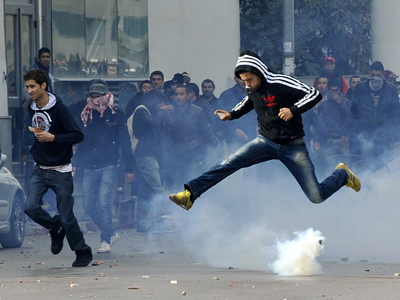 Fresh political unrest has erupted in Tunisia following the February 6 murder of prominent opposition leader Chokri Belaid. This led to the resignation of some MPs from the moderate Congress for the Republic party (CPR). The aftermath of the events has been dubbed as the worst crisis in the country since the start of the Arab Spring, which toppled the former President Ben Ali and caused a subsequent wave of protests and violent rallies against dictatorial rulers across the Arab world. The murder of the secular opposition leader has exposed deep political divisions that exist between Tunisia’s liberal-minded moderates and the country’s ruling Islamist Ennahda party. 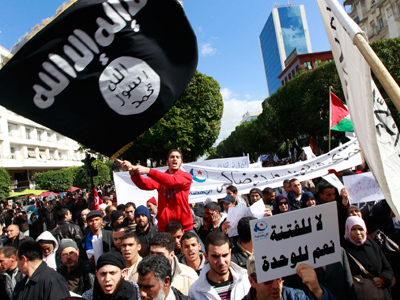 This is despite the fact that many considered Tunisia to be the poster child for change in the Arab world, given the strikingly low number of casualties in their January 2011 version of the Arab Spring. Prior to the Ennahda party making its choice of prime minister, police arrested several suspects behind Belaid’s murder, according to a statement from Interior Minister Ali Larayedh. He said “the investigation has progressed to the point that suspects have been arrested,” but declined to comment further or specify the suspects’ identities. 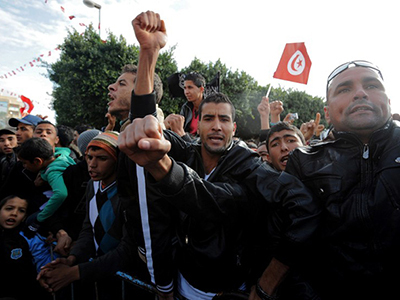 Tunisian govt shake-up: A move away from hardline Islamist rule?